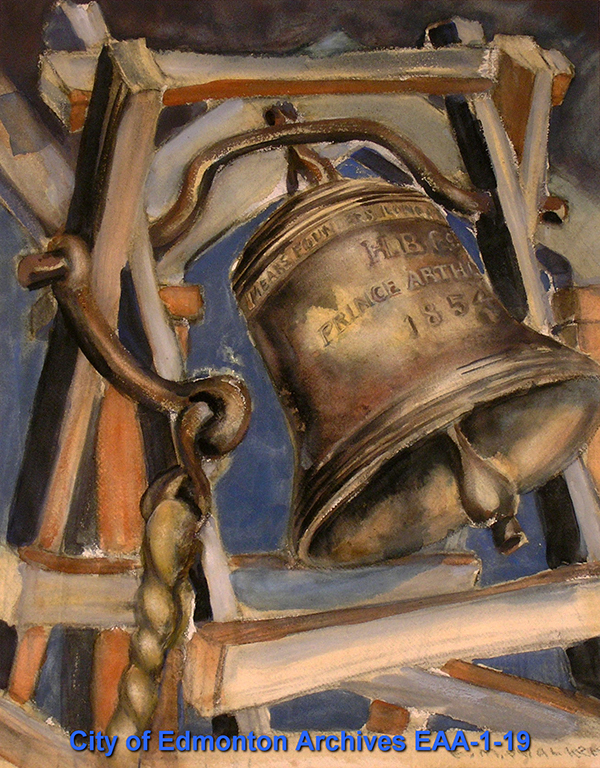 Ella May Walker painted contemporary scenes of historic houses and trees and then advocated for their preservation. 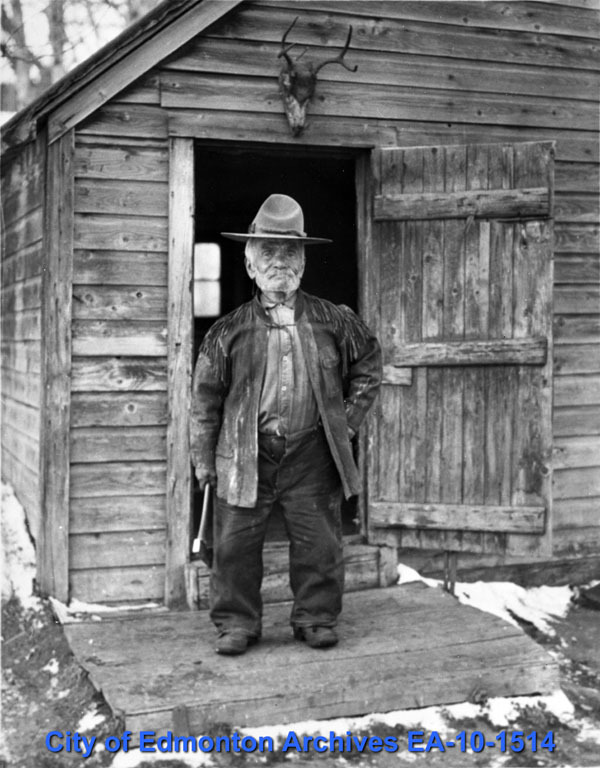 John Walter came to Canada to work as a boatbuilder for the Hudson’s Bay Company in 1870. 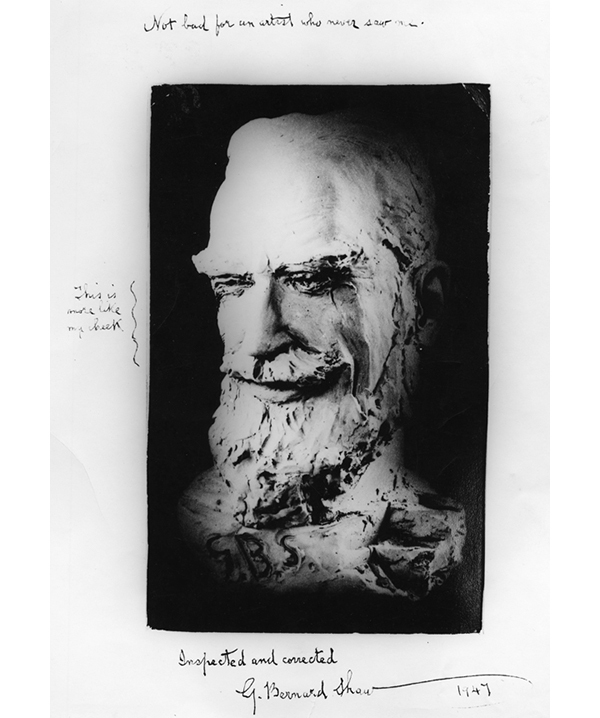 He later started his own boatbuilding company and built and operated a ferry across the North Saskatchewan River. 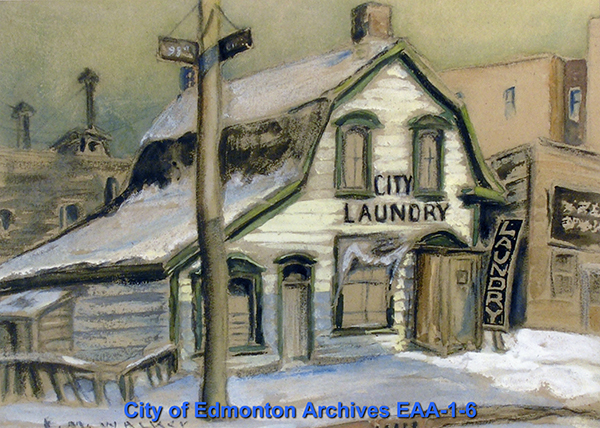 He was also involved in mining and lumber and was one of Edmonton’s wealthiest citizens. When the water is low, log booms for his sawmills are still visible in the river from the High Level Bridge. 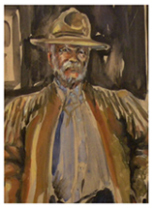 Unfortunately, as most of his business was based around the river, he lost everything in a 1915 flood. 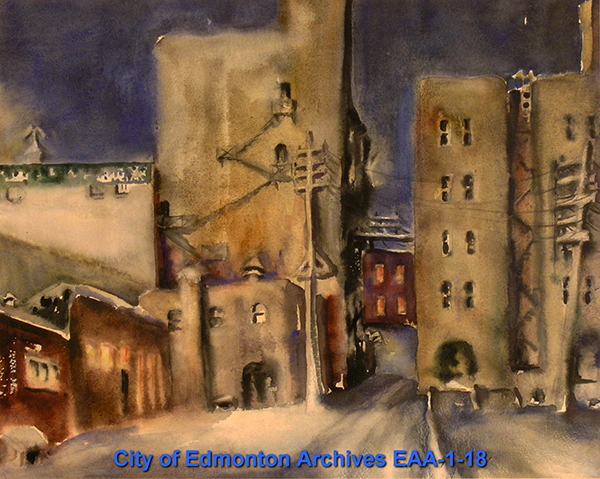 Walterdale Hill Road, Walterdale Park, and the Walterdale Bridge are named after him. 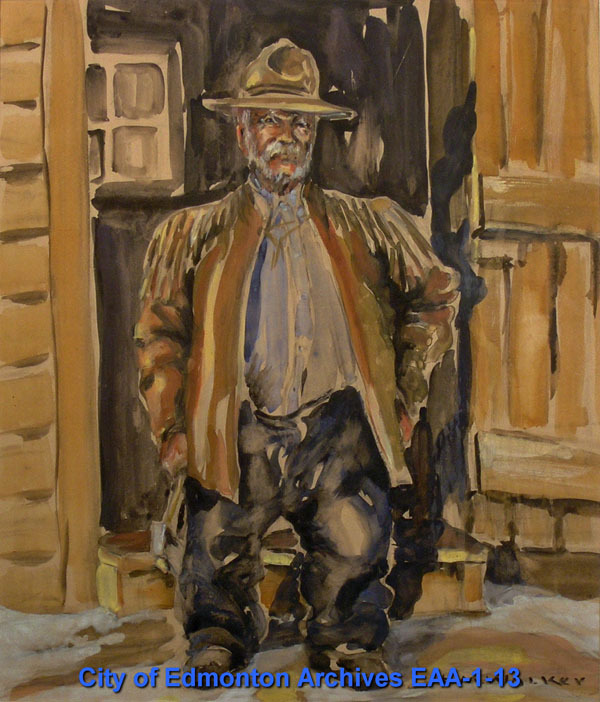 John Collins (known far and wide as Muchias) worked at Fort Edmonton, primarily hauling water to the Fort from the river, at first by hand and later by horse cart. He was just under 4 feet tall and famous for his strength. 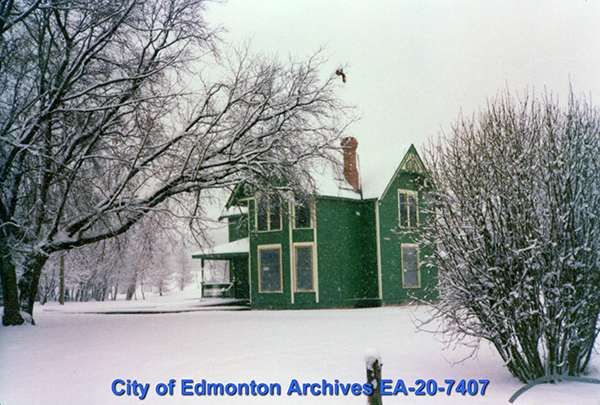 Imagine hauling water in barrels from the North Saskatchewan up to the Fort, located at the present day Alberta Legislature Grounds! 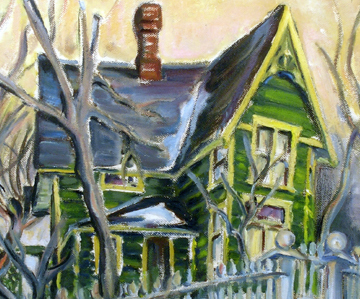 Muchias was born in 1853 in Lac Ste. Anne and died in St. Albert in 1939 at the age of 86. 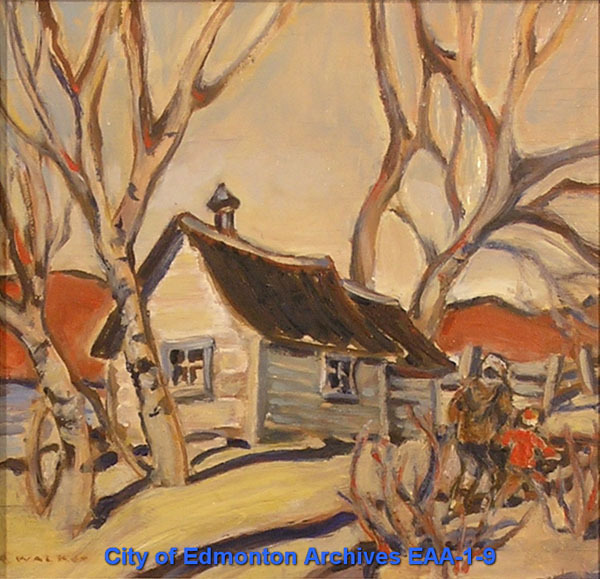 In addition to his work at the Fort, he also worked for John Walter and built a house near to Walter's home and ferry operation on the south bank of the North Saskatchewan River (near the present day Kinsmen Park and John Walter Museum). 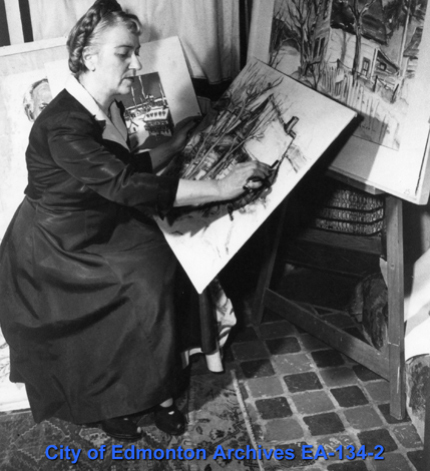 It seems like Ella liked Muchias and his story, in addition to painting him and his house she also wrote articles about him and featured him in her novel Fortress North. 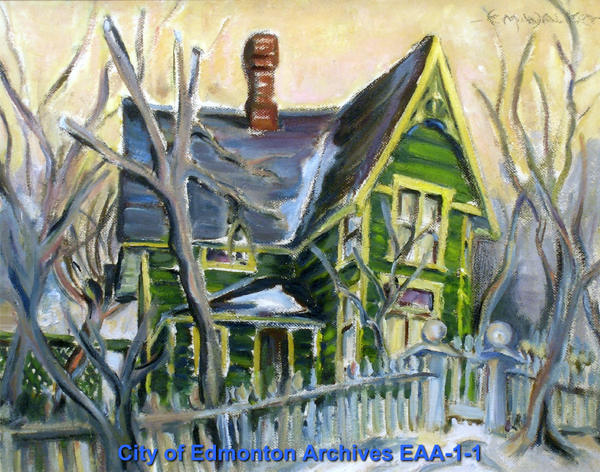 In 1983 the City of Edmonton recognized his contribution to our history by naming Muchias Park at 3524-25 Avenue after him. 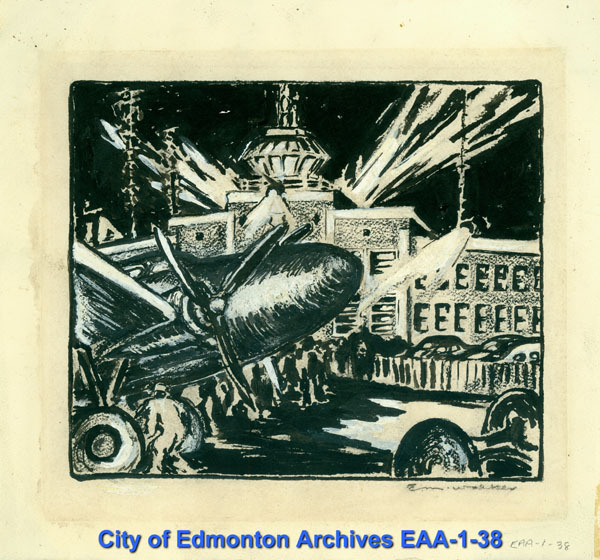 Ella's creativity was not always focused on Edmonton and promoting history. 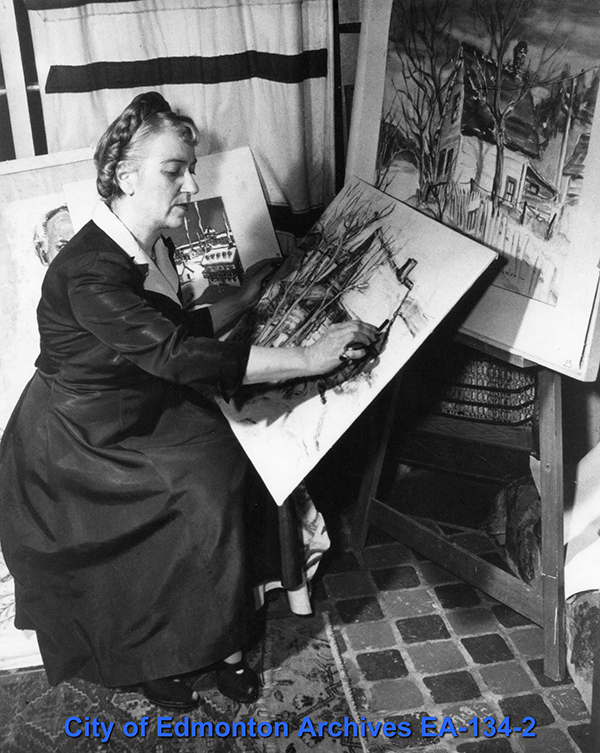 Her picture of Maligne Lake was likely painted during a family holiday to Jasper National Park, where the Walker's had a cabin. 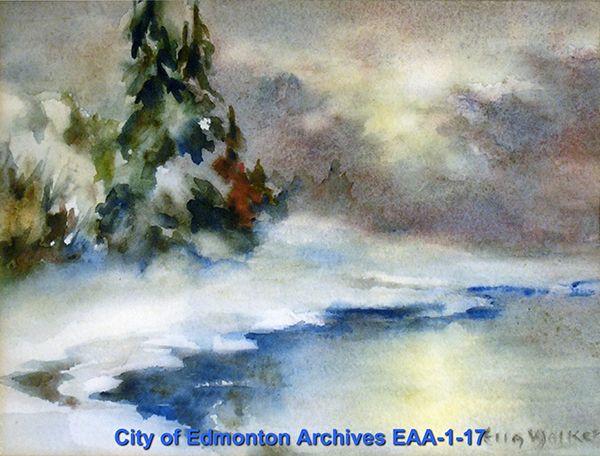 It's interesting that most of Ella's artwork held by the City of Edmonton Archives is of scenes set in the late fall and winter. This is unusual as many artists shy away from this type of imagery, instead choosing the gentler, more idyllic spring and summer seasons. "Airplane Flights and a World Centre"